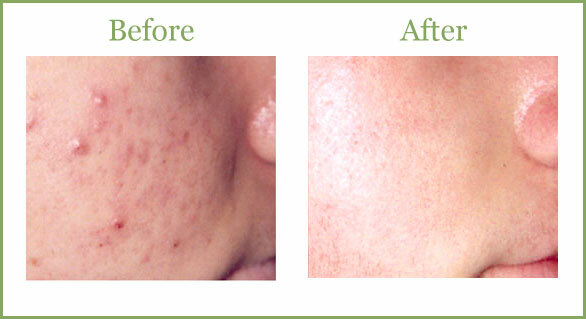 Acne PureLight Therapy treats a wide range of acne conditions for a clear, more even complexion. PureLight targets bacteria without thermally affecting the surrounding tissues. PureLight is both natural and non-invasive. Sebaceous glands return to their natural state without being thermally altered. 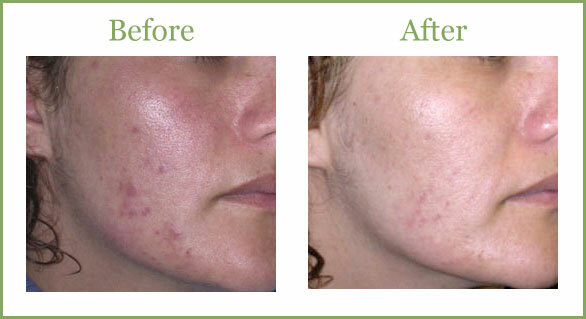 PureLight relies on the interaction of the "violet" light with the acne bacteria. This interaction generates singlet oxygen, which attacks and kills the bacteria responsible for acne. $60.00-90.00 per treatment depending on the severity of the problem being treated - Recommended in a series of 6-12 treatments weekly for best results. For Fast Results, Purelight can be done 1-3 times per week. *The number of treatments varies depending on each individual. When I met Laura, my skin was in need of a lot of help. I had been on an acne product for many years and one day it seemed it wasn’t working for me anymore. I had a lot of pimples, inflammation and flakiness. Laura was very supportive and coached me as to the proper skin care techniques especially for me and my skin type. I was hesitant at first because any time in the past when I had tried to switch skin care lines, my face erupted. Laura assured me that if I listened to her and followed certain steps, I would be okay. So I forged ahead and I am so happy to report fabulous results! My skin care regime consisted of regular peels, which left my skin glowing! During my treatments, Laura also used BBL light therapy to target my current flare ups as well as any bacteria that may have led to further break outs. Simultaneously, I started the acne/problemic Pevonia skin care line, which I now love! I have suffered from the embarrassing pimples and have wanted to hide a lot under make up or just stay at home until my spots went away. Now I don’t have to because my skin glows and looks very healthy. I would recommend any type of treatment Laura sees fit for your skin type. She is an expert skin care specialist and the condition of my skin is evidence of that.